The Dutch government did not participate in a decision to recognise the death of more than a million Armenians in World War I as genocide, said Dutch ambassador to Turkey Erik Weststrate. "As our government has said, it is hard to recognize historical events before 1948 as genocide because there is no legal definition at that time." said Weststrate, according to a report in Turkish daily Sabah. “The establishment of a joint commission (to investigate the events) is something we support.” he added. The Dutch parliament passed the motion overwhelmingly last Thursday. It also voted to send a representative to Armenia to commemorate of the killings. Nearly a dozen other EU countries have passed similar resolutions. Turkey has long denied the deaths constitute genocide. Turkish Minister for EU Affairs, Ömer Çelik, labelled the motion “null and void” on Friday. However the official reaction to the decision in Turkey was weaker than expected. "This is probably because Turkey feels an urgent need to improve relations with Europe to avoid an economic downturn before the 2019 presidential elections," said, Erik Jan Zurcher, a professor of Turkish studies at the University of Leiden. The Dutch parliament’s decision comes at a time when both countries seek to rebuild relations following a difficult period. 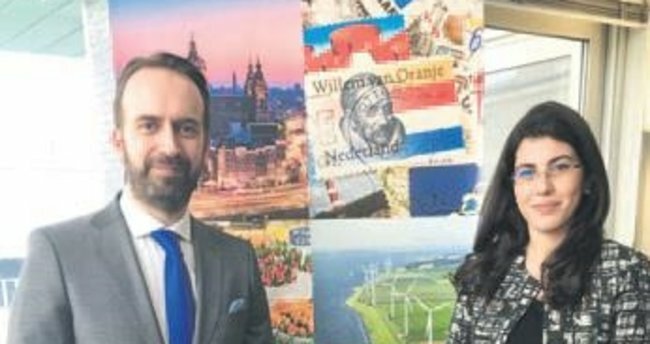 Last year, the Netherlands deported a Turkish minister who had come to campaign among the Dutch Turkish minority for a constitutional referendum in Turkey. Turkey, in turn, accused Dutch peace keepers of playing a role in the 1995 Srebrenica massacres in Bosnia, whilst Turkish President Recep Tayyip Erdoğan described the Dutch government as "Nazi remnants and fascists"